The project on the street is now acknowledged as an exemplar of heritage led regeneration which has allowed the community to develop its own opportunities to a masterplan; gentrification this is not! 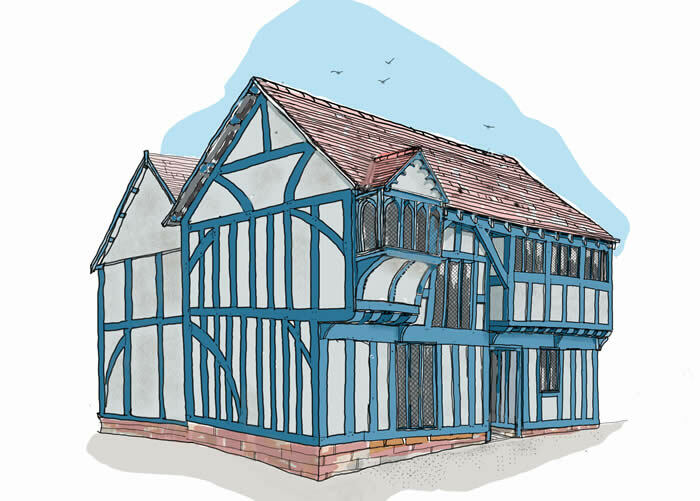 What we found when we started was a adulterated timber frame which clearly hinted at being one of the oldest properties surviving in the city. From then it was a voyage that led to the discovery of a mid C15th. hall house. The development included new building to the rear in a recreation of the ‘courts’ that were typical of Coventry in the early C19th. but have now disappeared from the city. With a large bar/restaurant and offices for the continuing regeneration of the city there are also five apartments.